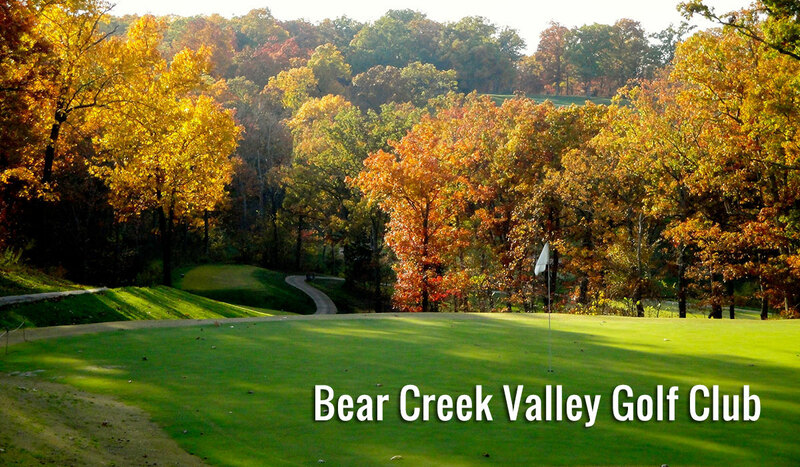 Bear Creek Valley Golf Club meanders through 250 acres of colorful Ozark forest, meadows and scenic valleys along “Little Bear Creek”. The course has zoysia fairways, subtle L93 bentgrass greens and multiple tee settings, which will insure an enjoyable, yet challenging, round of golf. The facilities include a casual restaurant and lounge, which opens daily at 7 a.m., as well as, a driving range, putting green, and pro shop. 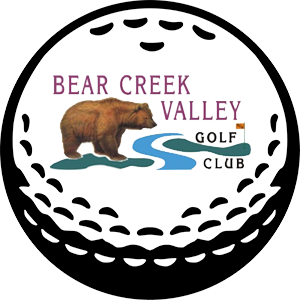 Bear Creek Valley, affordable golf, casual dining and a friendly atmosphere. Tee times are accepted up to 60 days in advance. Single and family memberships are available. Bring-A-Friend Wednesdays: Two golfers play 18 holes (with cart) for $90 after 11 a.m.